My first Striated Sky piece, which is a little late (should have published on the 4th of January 2015), is titled Att: Dr William Robertson. The Photograph was taken on a trip back to Cape Town from Swellendam. Normally one would not drive past this church when driving through Robertson but in an attempt to get in front of a number of slow moving trucks I decided to drive through the town centre on a lazy Saturday afternoon rather than stick behind the trucks (check out the map below). The notion of getting in front of the trucks was flaunted when the the church caught my eye. We had to stop and take a picture. The trucks did remain in front of us on that day but it was worth it. The title of the piece came about after doing some research on Robertson which revealed that the town was named after Dr William Robertson the Dutch Reformed Minister from Swellendam that performed church services in the home of Johannes W van Zijl, every three months. 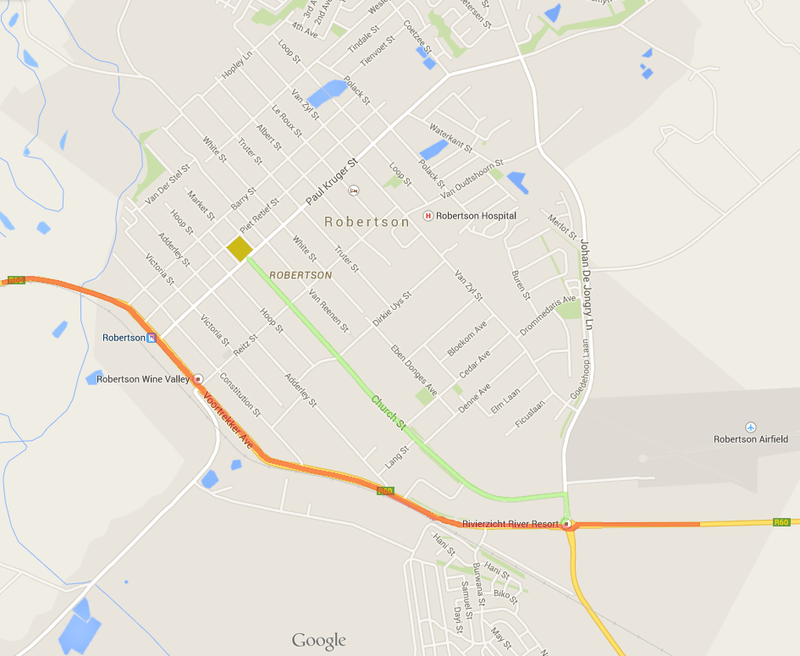 Mr van Zijl’s farm was purchased to establish the town of Robertson *. I therefore found it fitting that the title of the piece bear his name. During the research I found out that I would have found a number of other photo opportunities in Robertson if I had explored more, so it you are in the area check it out.